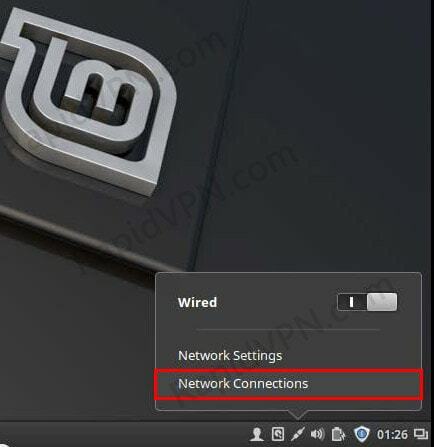 How to setup OpenVPN connection on Linux Mint? 1Go to the "Network Connections" icon and you have to click on the "Network Connections" bar. 2In next window click on the "Add" button. 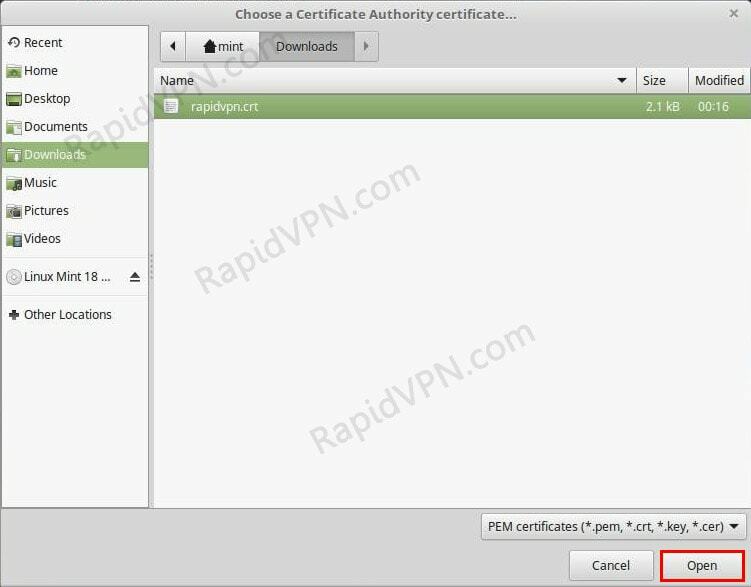 At the end click in folder icon from "CA Certificate" to import OpenVPN certificate. 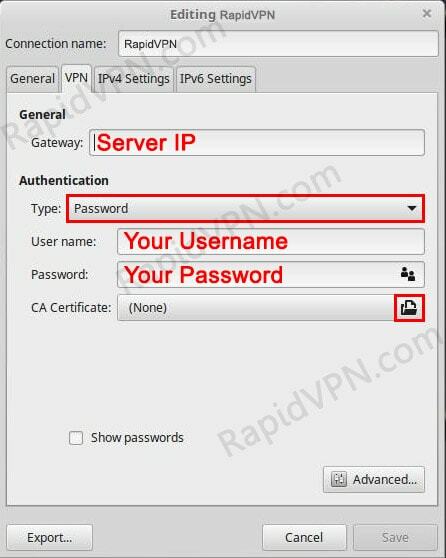 login your RapidVPN account, right click on "OpenVPN Certificate" and dwonload it to your computer by choosing "Save Link As ...". It will save in your "Download" directory as "rapidvpn.crt". 5Import "CA Certificate" and click "open"
6You will see an extra option is added to the "Network Connection" bar. 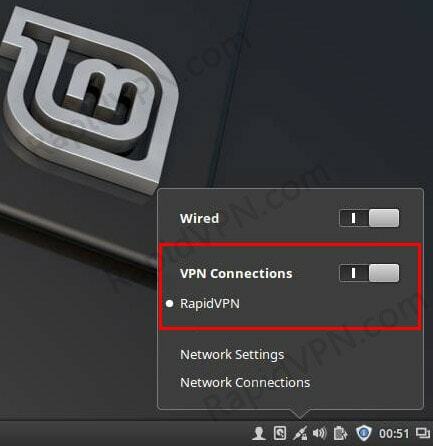 You hve to turn on the "VPN Connection". 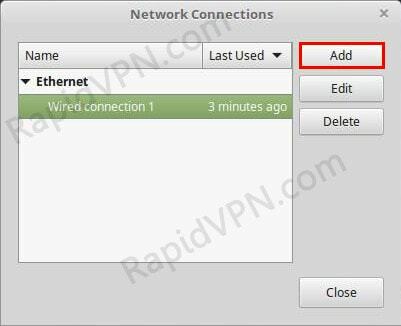 7Disconnect VPN: You have to go "Network Connection" icon and then you will see "VPN Connection" tab with a checkbox. You have to just unchecked the box to disconnect the VPN.